Use this Graveyard Background to set the scene for a spooky Halloween display. Use or alone or with Scene Setter add-ons, sold separately. 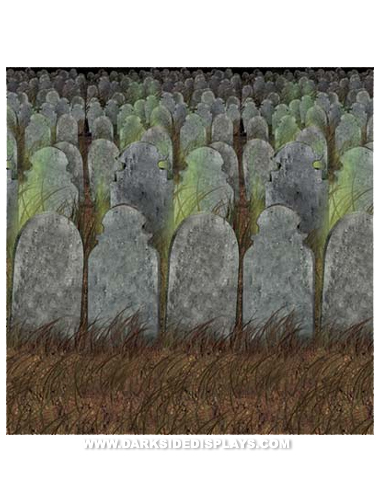 Graveyard image is printed on a reusable vinyl sheet roll that will cover a 4'W x 30'H space. For indoor or outdoor use. Hang with your adhesive, or sticky tack, also sold separately.